Trust us when we say they will take less than 10 minutes. Halloween is all things quirky and creative, okay, scary too but what if you are behind schedule and you don’t know what to do for Halloween. Did you miss buying your favorite decor items? Well, just because you missed buying them or you don’t have time anymore to go out shopping, it doesn’t mean your house has to go bare this season. 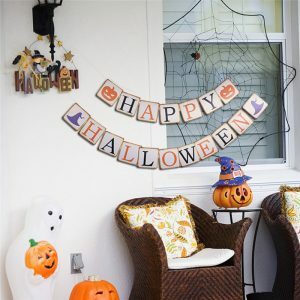 Give your home some simple yet really creative Halloween DIY decoration ideas that aren’t just easy to make but pocket-friendly too. 1. Colorful leaves Who wouldn’t love the sound of rustling leaves while you walk past them? Autumn leaves look lovely and totally season worthy when it comes to Halloween. 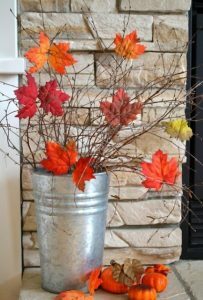 Snip off a colorful bunch of leaves and decorate that flower vase. 2. 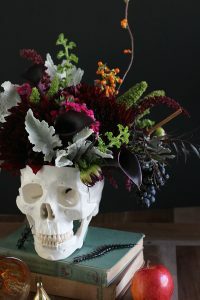 Skull vase We know you might find this DIY difficult to try but it is super easy. All that you have to do is carve a hole for flowers in a basic skull sculpture that you might find at any crafts store. 3. Treat Wrappers Print your own trick or treat labels and use them as banners or maybe wall decals. 4. A balloon banner What can possibly be easier than a balloon banner? Just grab black balloons, charcoal pen and you are done. 5. 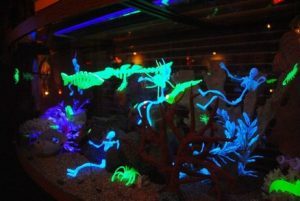 Try making a haunted aquarium Buy a lot of glow in the dark characters, make sure they look spooky and let them float in your aquarium. 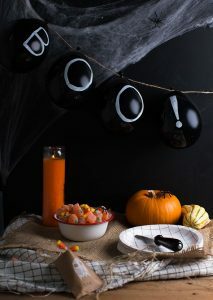 Creepy touches in all the unexpected places will make your decoration look straight out of a haunted house. 6. 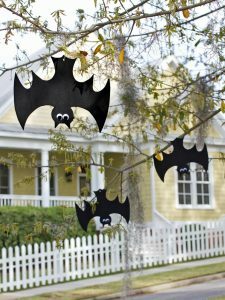 Hang paper bats on branches of your trees Maybe your backyard? Try throwing on a couple of paper made scary bats on the tree in your backyard. You can even use neon ones if you wish. 7. Floating candles Nothing looks scary than a lot of lit candles floating in the air. 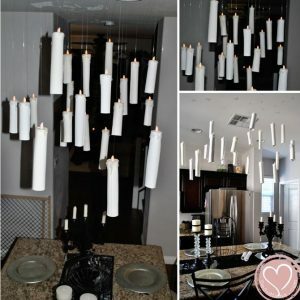 Try hanging basic white candles that you can find in any store and light them. 8. 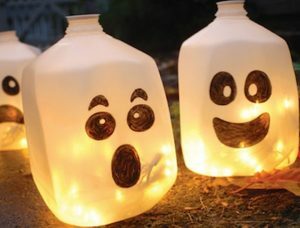 Ghostly lanterns Draw spooky faces on empty milk jugs, fill them with festival/ holiday lights and leave them in your walkway. 9. 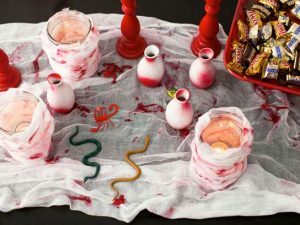 Bloody table Dab your paintbrush in some red paint and splash it on a plain white table runner (better if it is a gauze runner.) You can do the same with candles too.